Recent headlines regarding autonomous robots suggest that smart machines have a license to kill. But a new project from engineers at the University of California, San Diego suggests a different reality. The UC engineers have built a pack of tiny autonomous robots that could help save the lives of both fire victims and firefighters. These lifesaving robots, which look a lot like small Segways, were designed for mobility, agility and reconnaissance. As the first to enter burning buildings, they can serve as scouts for firefighters arriving at the scene of an emergency. The robots are equipped with infrared and red-green-blue (RGB) cameras, which they use to record temperatures, detect volatile gases and check for structural integrity - all while also searching for victims. Using on-board software systems, the bots turn the information they gather into 3D maps, which can be viewed by firefighters in real time. 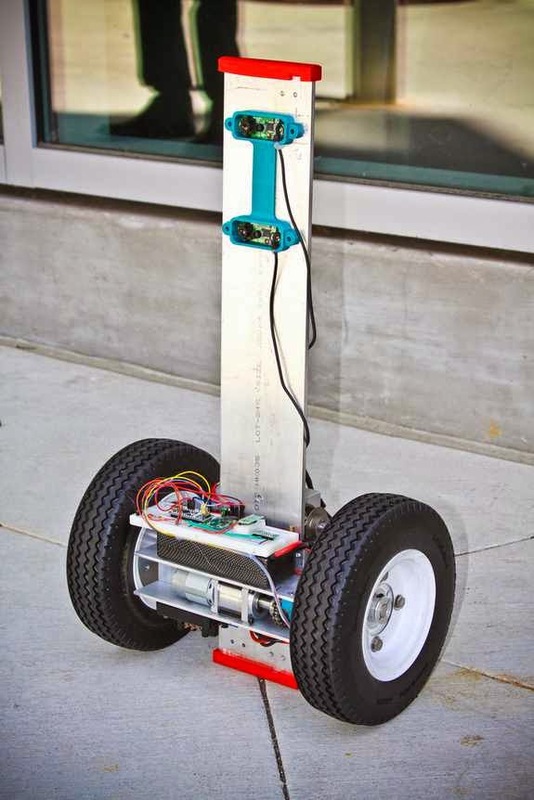 The robots' Segway-like structure, which includes an actuated center leg, even lets them climb stairs and overcome large obstacles. When working collaboratively, the bots can provide firefighters with a highly detailed map of an entire structure. "These robot scouts will be small, inexpensive, agile and autonomous," said Thomas Bewley, professor of mechanical engineering at the Jacobs School of Engineering at UC San Diego. Firefighters arriving at the scene of a fire have a thousand things to do. To be useful, the robotic scouts need to work like well-trained hunting dogs, dispatching quickly and working together to achieve complex goals while making all necessary low-level decisions themselves along the way to get the job done." And this pack of robots isn't the only machine helping first responders. A research team at the University of Sheffield in the U.K. recently developed a "tactile helmet" that lets firefighters sense what's going on around them, even in total darkness. And the European Space Agency recently funded the development of an autonomous reconnaissance robot designed to gather sensory information about hazardous disaster scenes. [See also: Killer Robots Condemned in New UN Report].